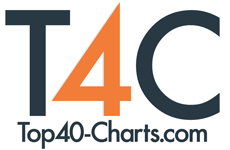 New York, NY (Top40 Charts) With Summer right around the corner, it's time to find that perfect anthem to turn up the volume and get the party started. Go / Ask / Alice (Legend Recordings) have brought the heat with their single, "Gold Digger," which the band is proud to premiere the video for. Taking their own nu-metal sounds and blending them with traditional metalcore, Go / Ask / Alice teamed up with Dropout Kings (Napalm Records) to bring in their own unique elements of metal infused hip-hop, on this infectious track off the band's debut full length, "This Album's About You." Being no strangers to transcending genres, "Gold Digger" showcases the band's ability to experiment even farther, while staying true to themselves. When it came time to film the video, the band used their live show as inspiration. Guitarist Jacob Harrington shared, "Gold Digger was something we had a lot of fun working on in the studio. It has great energy, a lot of grooves and it's very inviting to listen to. After performing it on tour every night, it had a party atmosphere to it whenever the song kicked in, so it was a natural choice to try and capture that same energy with a house party for the video." "This Album's About You" was met with a tremendous response for the "no filter" attitude and musical comparisons to Issues and Emmure while highlighting the band's early influences of Slipknot and Limp Bizkit. The record debuted at #1 on Billboard's Heatseeker's chart for their region and has been gaining momentum ever since. Go / Ask / Alice looks forward to touring extensively in 2018, including an upcoming show with Escape The Fate. The future looks bright for Go / Ask / Alice as they've proven they are a force to be reckoned with and are not afraid to break the mold.